At Waste Pro, they are committed to providing reliable and responsible recycling and waste disposal services to their residents because they know their efforts have a direct impact on your homes and neighborhoods. Their mission is to enhance your quality of life by providing weekly curbside residential waste collection that is professional, dependable, and value-priced. They service your neighborhoods with fuel-efficient, low-emission vehicles, and their drivers are highly trained, respectful of your property, and concerned with neighborhood safety. By offering a wide range of residential sanitation solutions, they enable the customization of trash pick-up and recycling services to better fit your needs, while strengthening, protecting, and preserving the areas in which we all live. 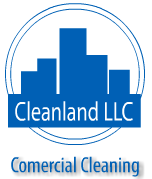 Cleanland llc has been serving the south florida area since 2003. First under cleanland corp. The owner, Sonia Lopez, has been in commercial cleaning for over 15 years. Cleanland llc is available to assist you by telephone response 24 hs a day, 7 days of the week on all cleaning procedures office operations. Staff is assigned to administer immediate assistance to you, the costumer. Cleanland llc offers professional touch to the cleaning industry the highest quality of cleaning you require for your company. Cleanland llc will address your specific cleaning requirements with daily, weekly and monthly cleaning schedule, eliminating any guess work.